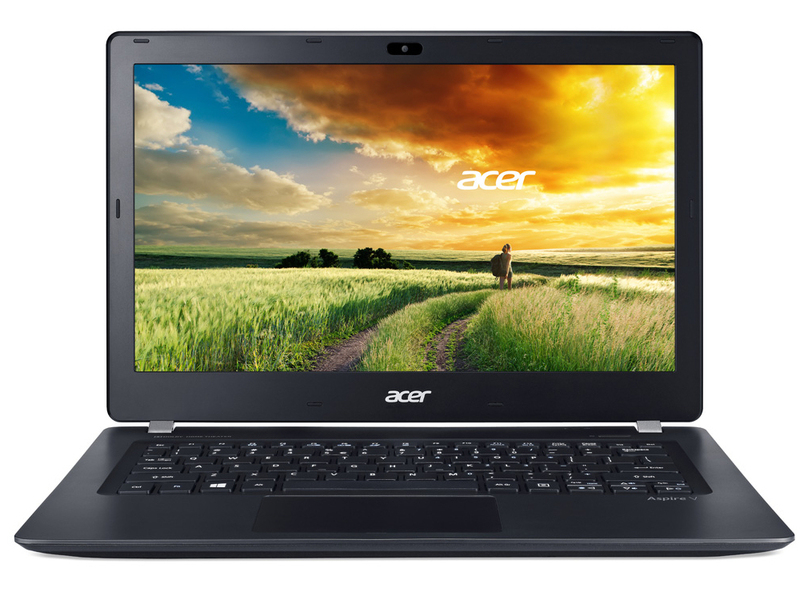 The Aspire V3-371-38ZG is the fourth and newest member of this 13.3-inch Acer laptop series. 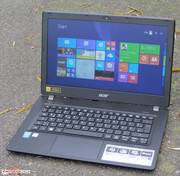 The previous editions include the Acer Aspire V3-371-55GS, the Acer Aspire V3-331-P982, and the Acer Aspire V3-371-36M2, all of which made a good impression. These models offer matte screens, decent keyboards, and good battery life. The Aspire V3-371-38ZG is an effort to surpass its predecessors by offering the more powerful Iris Graphics 5100 IGP. We will find out in this review if our V3-371-38ZG test model is really more powerful than previous models. 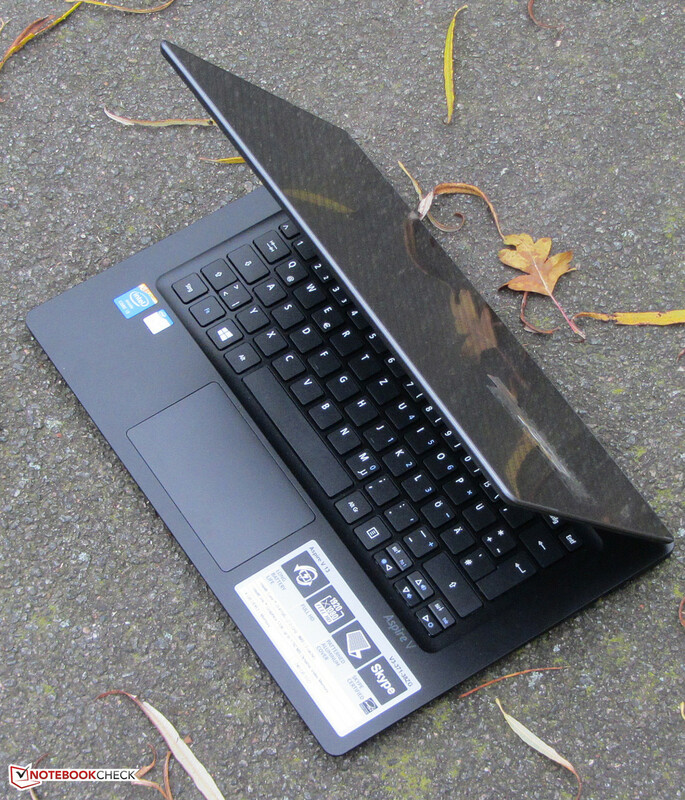 The competition includes the Lenovo Ideapad U330p and the Asus Zenbook UX303LN. The Ideapad model we tested was equipped with a touchscreen, but there are similar matte (non-touch) screen configurations that are significantly cheaper. 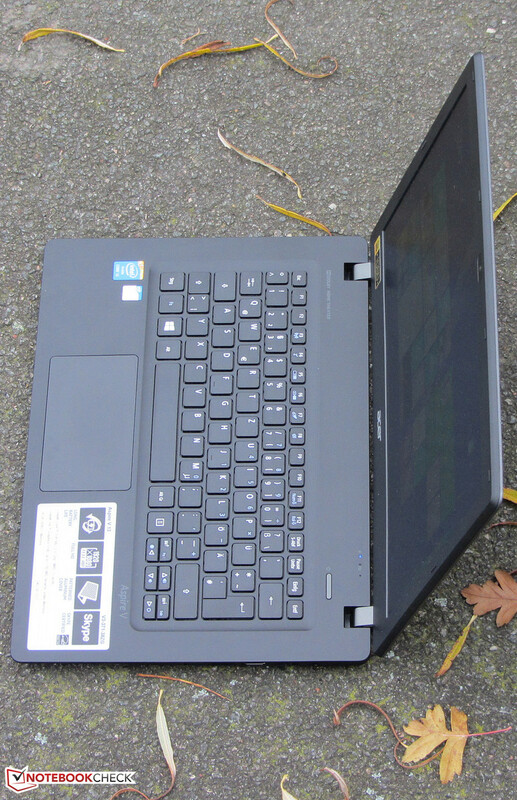 Acer's lowest-priced Zenbook, the UX303LA-R5094H, is an example: at 699 Euros, it is about 300 Euros less expensive than our 1,000 Euro V3-371-38ZG GeForce graphics card-equipped test model. The Aspire V3-371-38ZG is identical in build to the Acer Aspire V3-371-55GS, which is why this review does not include the following sections, all of which can be found in the in-depth review of the Aspire V3-371-55GS: case, connectivity, display, input devices and speakers. The Aspire V3-371-38ZG uses the same display panel as the Aspire V3-371-55GS. Our V3-371-38ZG test model, however, provided different display values when tested. This is to be expected, as two panels are never identical. The brightness and contrast of the V3-371-38ZG screen could be better: we expected at least 250 cd/m² (brightness) and 500:1 (contrast). 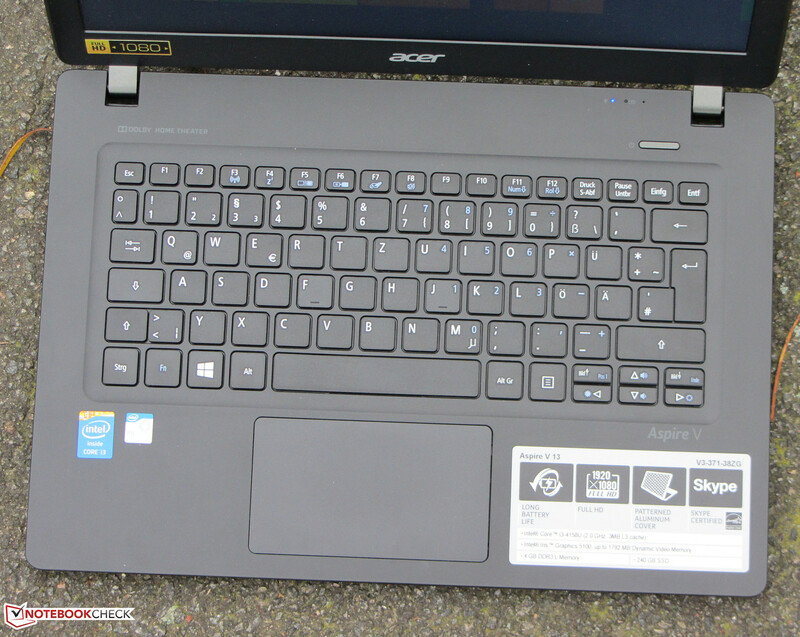 The Aspire-V3-371 series is Acer’s offering of 13.3-inch subnotebooks. 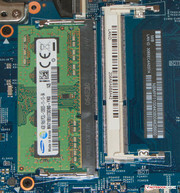 The CPU of the test model offers enough juice for everyday use, and is accompanied by a fast SSD. 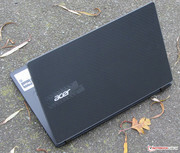 The device we were provided is available for around 600 Euros, and is offered in many other configurations by Acer. The cheapest model of this series is the Acer Aspire V3-331-P982 (Pentium 3556U, HD Graphics (Haswell)), which costs 440 Euros. The test model was equipped with an Intel Core i3-4158U. This dual-core CPU (Haswell) has a TDP value of 28W, which is unusual as most Haswell ULV CPUs have a TDP value of 15W. The CPU runs at 2 GHz and offers no turbo. The CPU supports hyperthreading (two threads processed by each core simultaneously). The Core i3-4158U works a little faster than the Core i3-4030U thanks to its 100 MHz-higher clock speed. In everyday use, this difference is not noticeable. This level of performance suffices for office or internet use, but nothing more. The full power of the processor is always available: the Cinebench CPU benchmarks recorded the processor running at 2 GHz regardless of whether the laptop was plugged in or on battery. A glance at the Aspire V3-371-38ZG’s specifications indicate that the laptop can run very fast. 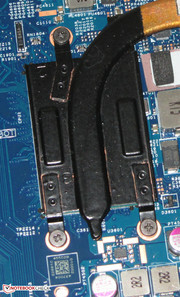 This is supported by the fast solid state disk in the Aspire. Its PCMark benchmark results were quite good, and were at the level of similar Core i3 notebooks like the Aspire V3-371-36M2. The Acer Aspire V3-371-55GS, which is also equipped with an SSD, achieves better results thanks to its Core i5 CPU. The Aspire uses a 2.5-inch 240 GB Kingston SSD. The recovery partition uses 30 GB, and the speeds of the SSD are quite good. 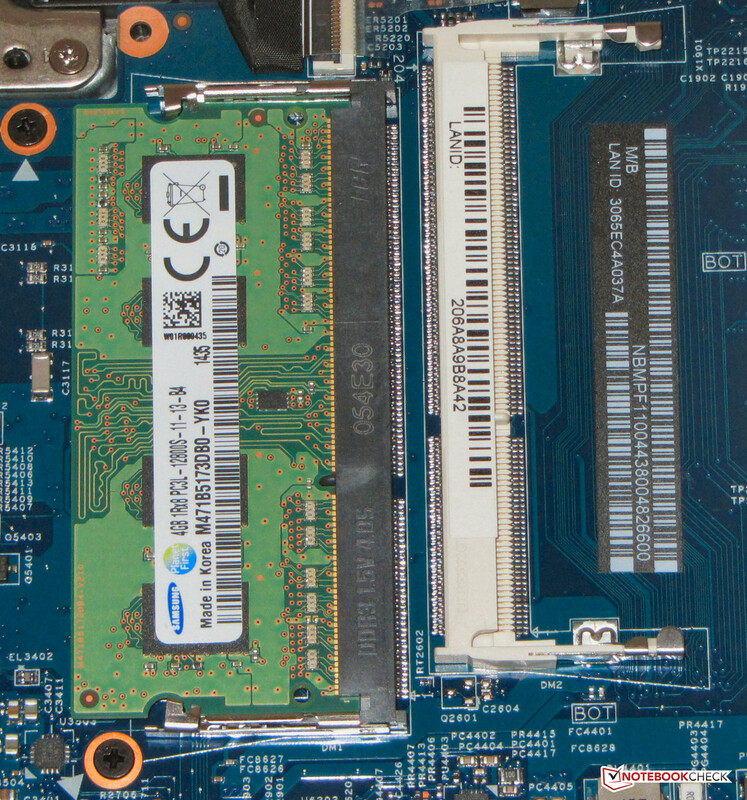 However, it cannot reach the level of top SSDs like the Samsung 840 Evo. The Intel Iris Graphics 5100 is a rarity: the test model is the third device we have tested so far which uses this IGP. The first two are the Apple MacBook Pro Retina 13 and the Asus Zenbook UX301LA. The IGP runs at 1.1 GHz and supports DirectX 11. In comparison to the MacBook and the Zenbook, the results (based on 3DMark benchmarks) of our test model were a little disappointing. The 3DMark 2011 benchmark showed that the Aspire does not perform as well as the Acer Aspire V3-371-55GS, which is equipped with the HD Graphics 4400. This puzzle is easily solved: the three faster devices were working in dual-channel mode, which allows them to use their IGPs more efficiently and thus score higher results. Our test model can also use dual-channel mode, but only after a RAM module is installed in the empty, secondary RAM slot. The Zenbook achieved the best results out of all the competitors thanks to its IGP being 100 MHz faster (1.2 GHz vs. 1.1 GHz) than the Macbook and Aspire chips. After installing the second RAM module, we ran the 3DMark benchmarks again on our test module, and the 3DMark 2011 benchmark score rose by 31% to 1,221 points. The single- and dual-channel mode results of our test model are displayed below. 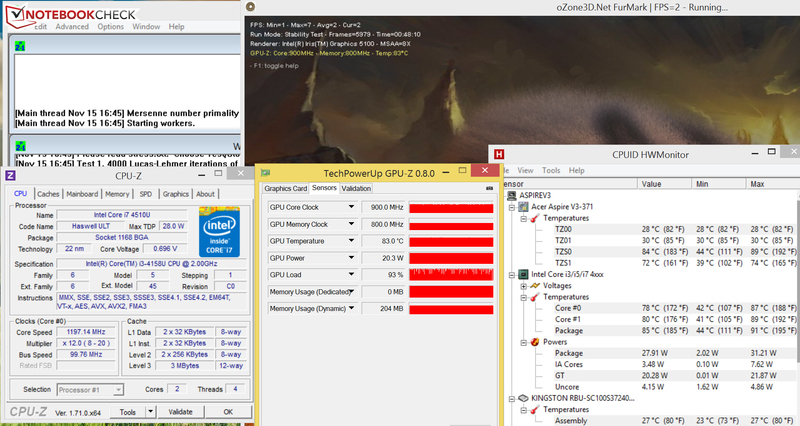 The Aspire V3-371-38ZG performs at the level of the Aspire V3-371-55GS in the 3DMark benchmarks. However, in practical game tests, the test model lags far behind: our test model manages to run a few games at low resolutions and renders low to medium details fluidly. As previously mentioned, the dual-channel mode improves performance significantly. The Aspire delivers 30-40% higher frame rates after the upgrade, which exceeds the Aspire V3-371-55GS. The Apple MacBook Pro Retina 13 and the Asus Zenbook UX301LA also use the Iris 5100 IGP, but offer more performance than our test model (even after the dual-channel upgrade) as both competitors are equipped with stronger processors. The performance scores of our test model in single- and dual-channel mode are included in the comparison table. If you are looking for a 13.3-inch gaming notebook, then perhaps consider the Asus Zenbook UX303LN instead — the GeForce 840M graphics card ensures that most games run well, and it is priced at 1,000 Euros. While idle, the fan is often still, and the Aspire is silent. 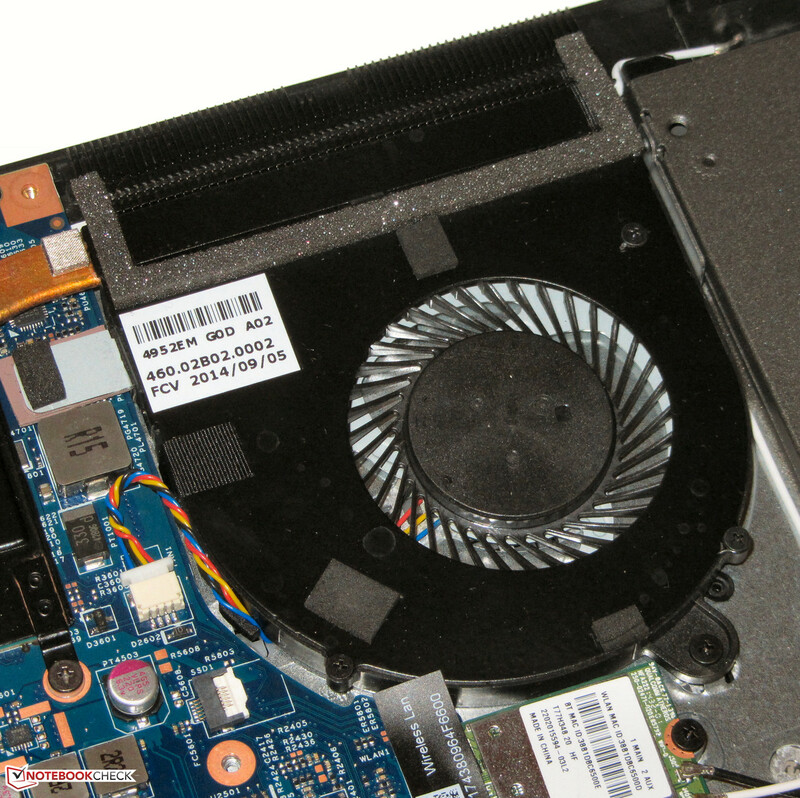 If the laptop is processing heavily, the fan turns on. During the stress test, we measured a noise emissions of around 42.7 dB. This is not surprising as the CPU needs a lot of cooling: it has a TDP value of 28W. The stress test (Prime95 and Furmark, both run for at least a hour) performs the same whether the laptop is on battery or plugged in. The CPU runs at full speed briefly (<1 minute) and then throttles down to 1.2-1.3 GHz. 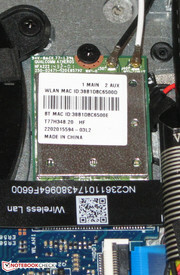 The graphics chip operates at 850-950 MHz with factory settings. The case heats up moderately and the 40 degree Celsius mark is exceeded only above and below the fan of the laptop. The identical Acer Aspire V3-371-55GS displays the same behavior as does the Ideapad U330p. The Zenbook UX303LN heats up much more due to its dedicated graphics card. (±) The maximum temperature on the upper side is 41.5 °C / 107 F, compared to the average of 35.8 °C / 96 F, ranging from 22 to 57 °C for the class Subnotebook. Before we discuss the power consumption of the Aspire, it is worth mentioning again that our test model has a more powerful (i.e., more power-hungry) IGP than others in its series. 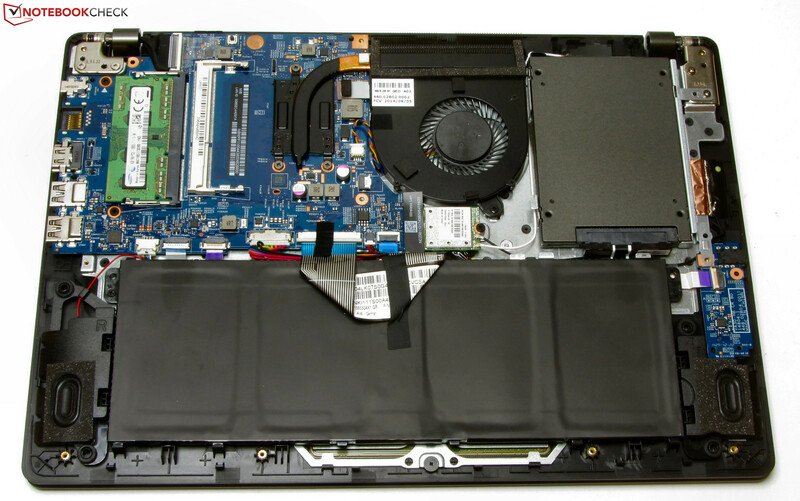 While idle, the power consumption, like most other Haswell ULV notebooks, stays under 10W. At medium (3DMark 06 runs) or full load (the Prime95 and FurMark stress tests, run simultaneously), the power consumption rises to 48.6-48.4W. The values are quite close due to the fact that the processor is heavily throttled during the stress test. If only FurMark is run, the laptop exceeds the 50W mark. Fortunately, the power adapter provides 65 watts. In comparison, the Aspire V3-371-55GS stays below 40W during the stress test, while the Ideapad U330p, because its CPU is throttled even more, requires a lot less power. While idle, the Aspire’s battery lasts 17:33 hrs. Its competition runs down faster: the Ideapad U330p lasts only 12:03 hrs, and the Asus Zenbook UX303LN 12:59 hrs. For the idle run time, we used the Battery Eater Readers Test with the brightness at the lowest level, Power Saver mode on, and wireless modules turned off. At load, the battery of the Aspire empties after 0:55 hrs. The Ideapad (1:57 hrs) and the Zenbook (1:57 hrs) last twice as long. We used the Battery Eater Classic Test to measure the minimum run time. For this test, the brightness is set to maximum, with High Performance mode on, and all wireless modules turned on. The Acer test model completed the WLAN test in 7:08 hrs. This places it between the Zenbook (9:40 hrs) and the Ideapad (6:15 hrs). The WLAN test loads websites every 40 seconds with Power Saver mode on and brightness set to 150 cd/m². The video playback test measured run time when playing a movie -- the short film, Big Buck Bunny (H.264 Coding, 1,920 x 1,080 pixels), run on repeat — with Power Saver mode on, all wireless modules turned off, and brightness set to 150 cd/m². The Aspire lasted 5:37 hrs, falling short of the Zenbook (7:46 hrs). All-in-all, the battery life of the Aspire V3-371-38ZG is very good. It is not surprising to see that the test model lags slightly behind the identical Aspire V3-371-55GS as the IGP of our test model requires more power than the 55GS. The Acer Aspire V3-371-38ZG offers enough performance for everyday use. The laptop does not heat up too much, and it works quietly most of the time. A fast solid state disk ensures that the system runs quickly and smoothly. 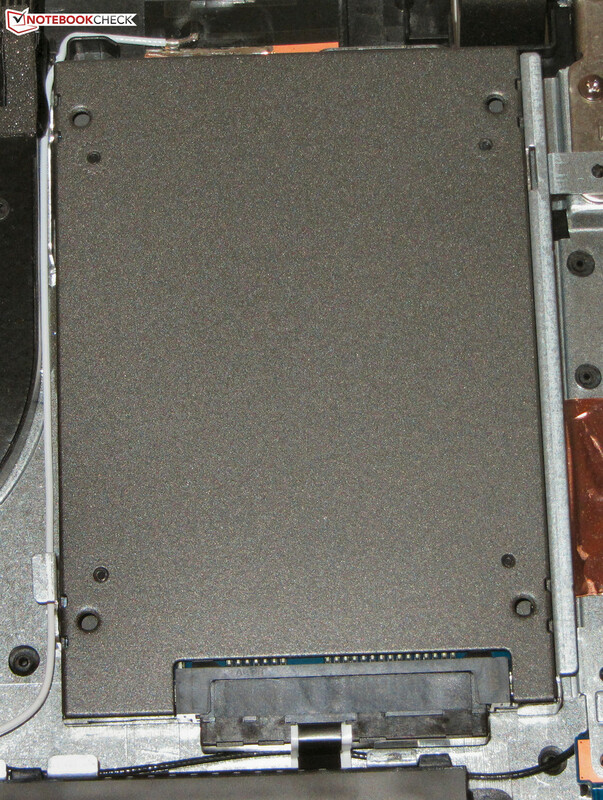 The 2.5 SSD can be swapped out for another storage device of the same format with a larger capacity. As expected of a subnotebook, our test model offers very long battery life and a decent keyboard. The matte FHD panel is decent, but in the brightness and contrast could be better. 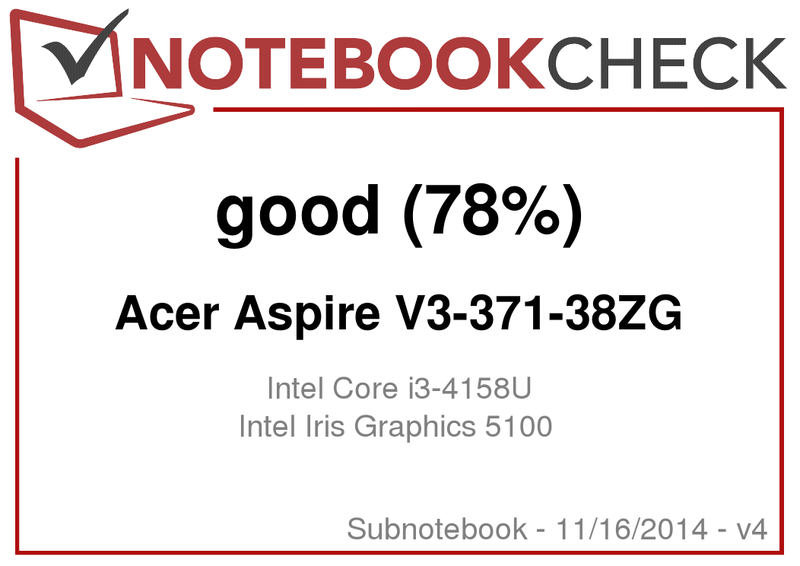 The graphics performance of the Aspire is disappointing, as the Iris 5100 IGP is not optimally used. We recommend the purchase of an appropriate RAM module which will allow the user to significantly boost performance via the provision of dual-channel mode. The Lenovo Ideapad U330p scores a lot of extra points thanks to its aluminium case and its 580 Euros price with a Core i5-4200U CPU. The Asus Zenbook UX303LN-R4141H also boasts an aluminium case, is capable of running games, and has good battery life. At 1,000 Euros, however, it is far more expensive than its competition. Even the entry-level Asus Zenbook UX303LA-R5094H costs 100 Euros more than our test model from Acer. 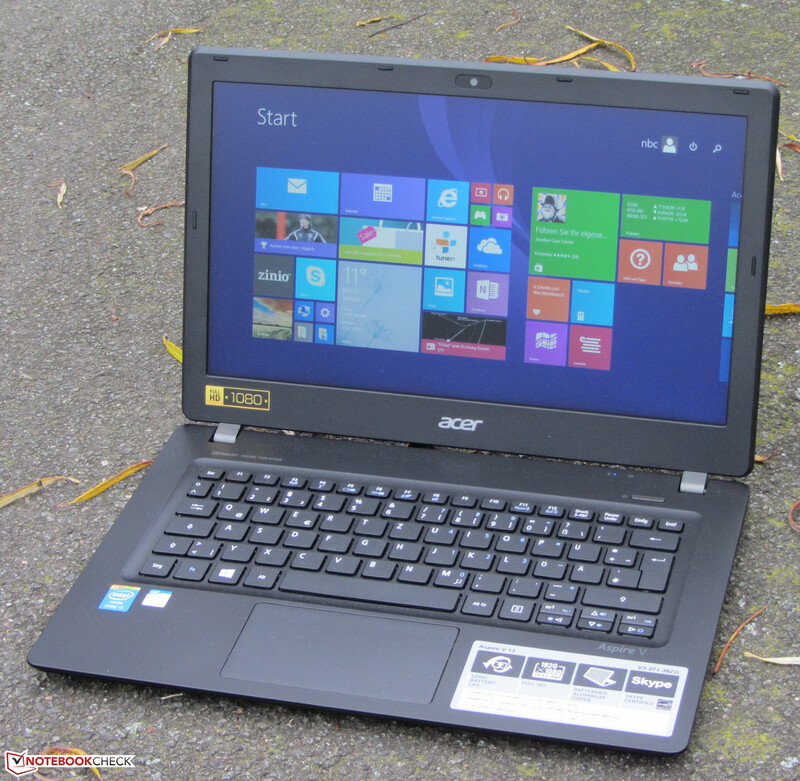 In Review: Acer Aspire V3-371-38ZG. 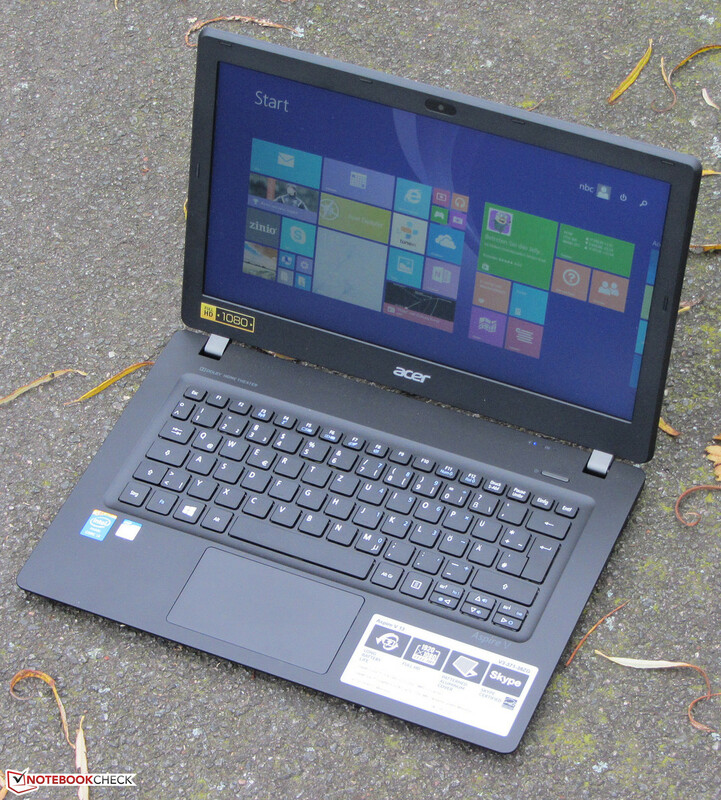 Test model provided by Acer Deutschland. 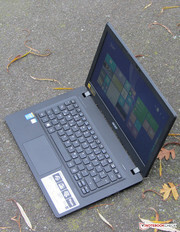 The Acer Acer Aspire V3-371-38ZG. Decent input devices are provided. The laptop boasts a matte screen. 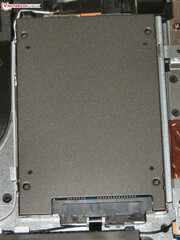 Internal components can be easily accessed after removing the bottom panel. 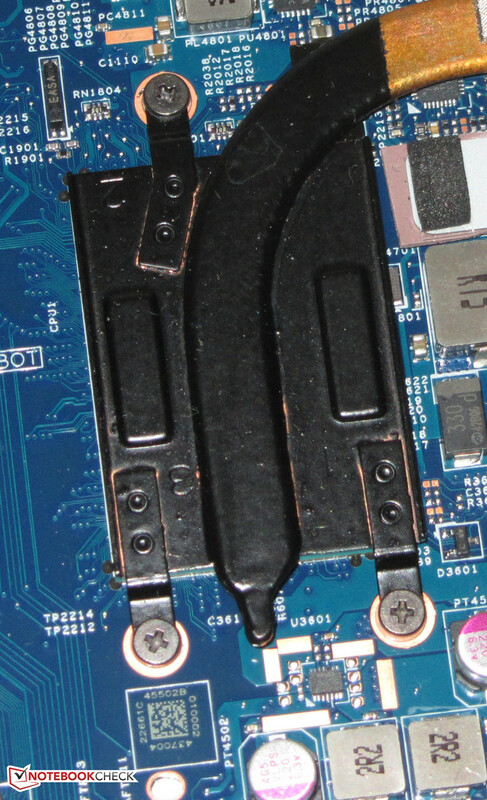 Two RAM slots are provided. Swapping the HDD is not an issue. The CPU is soldered on. The fan can be removed. Good: two WLAN antennas are provided. 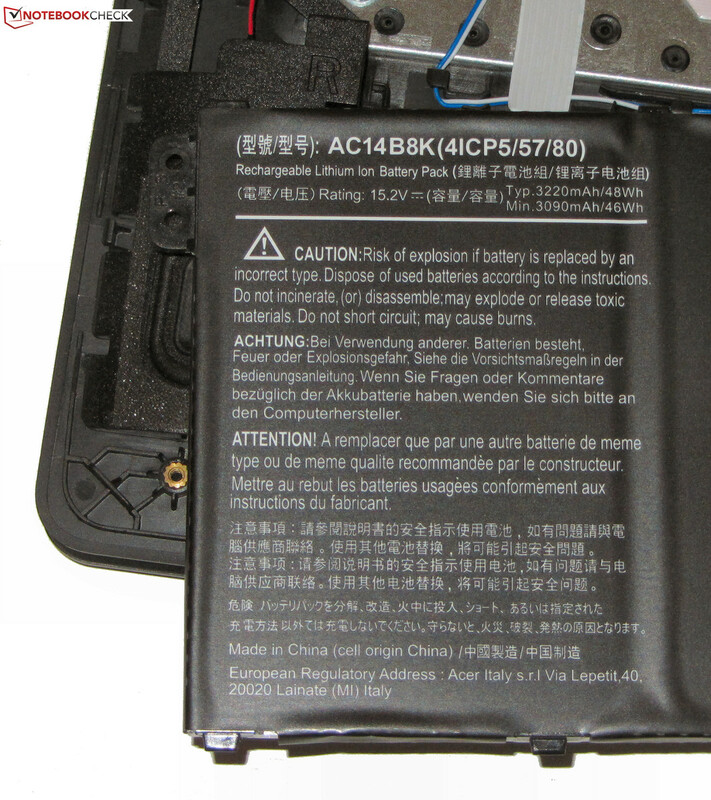 The battery can be replaced if it is worn out or defective. Two screws hold it in place. 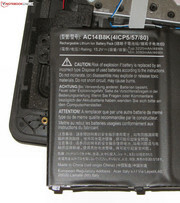 The battery offers 48 Wh. A fast SSD, long battery life and the matte FHD display.